Austrian star determined to take 2019 step by step after Oslo error. 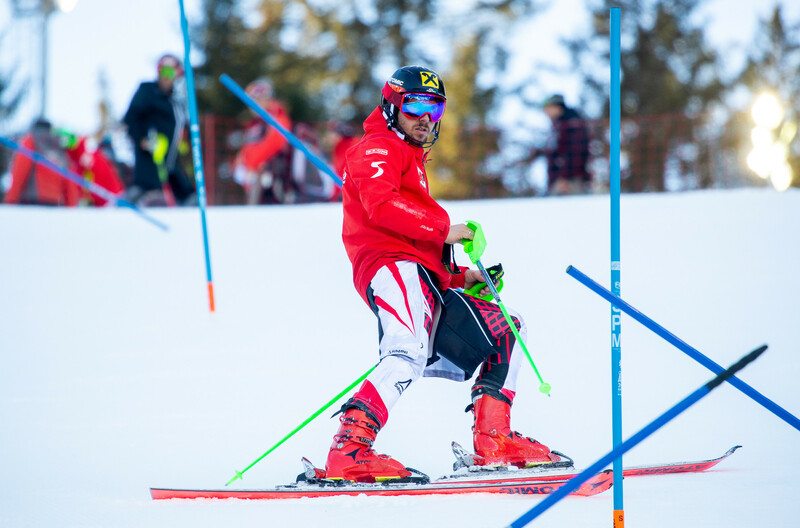 Marcel Hirscher has revealed that he is taking 2019 step by step after he started the new year with an uncharacteristic error in the Oslo parallel slalom. Here, the 29-year-old reveals in his exclusive blog how he will bounce back from his disappointment where Austrian team-mate Marco Schwarz triumphed. Although 2019 has started off anything but perfect for my team and me with the early exit at the Parallel Slalom in Oslo, we look forward to the year ahead – full of old and new challenges – New Year’s resolutions included! I have decided to use my time even better. Thus, to reduce things that consume my energy and instead to spend more time with the people that are close to my heart and support me. Regarding the sport we will continue as usual in 2019: Step by step. Always trying to perform well in the next race. If you focus on the wider picture, it gets confusing. This creates unnecessary stress. Beyond that: More quality time and less unnecessary. Straddling the gate in Oslo was certainly unnecessary, too. What can I say: I have yet to find my boundless love for the Parallel Slalom competition … The ranking is identical with the quarter-final exit last year. These are important points. The positives are my run times, which means I am part of the leading group. That gives me hope that next time there is a little more to take home. The self attested “form crisis” I mentioned in TV interview after the Parallel Slalom was a joke, of course! Straddling the gate in slalom and then straddling in parallel slalom with double goals are two pairs of shoes that have little to do with each other. So do not panic! My focus is on my special disciplines giant slalom and slalom anyway. I would like to highlight the performance of Marco Schwarz! I said two years ago that Blacky is going to win soon. In Oslo he finally did it! He simply has taken his time to win his first World Cup ; ) He’s always had the potential and he will continue to be at the forefront in the future. After a short break, from today on my team and me will carry with the slalom training before we then travel to Zagreb on Saturday. The only question is where do we train, because with the current snowfall it’s not that easy to create good conditions. But I am sure we will find somewhere.